Benefits of Vitamin C for eczema - We reveal them all to you! While you probably know that you should be getting more vitamin C this time of year to help with coughs and colds, did you know it may actually help to treat your eczema too? Let’s have a look at some of the benefits of Vitamin C for eczema. What are the Benefits of Vitamin C for Eczema? In the middle of a dark and dreary winter, eczema sufferers can feel the effects of the season more than anyone. While you probably know that you should be getting more vitamin C this time of year to help with coughs and colds, did you know it may actually help to treat your eczema too? Let’s have a look at some of the benefits of Vitamin C for eczema. Many of us hand out vitamin C Capsules to every family member come winter, but do you even know why vitamin C is good for you? Vitamin C is an essential vitamin, which means that your body needs it to thrive but cannot produce it by itself – so we need to source it from somewhere else. Recommended daily doses of this lovely vitamin are 75mg for women and 90mg for men. It has wonderful antioxidant properties, so it helps the body to fight against illness and disease, boosting the immune system to full capacity. This helps to fight chronic illnesses like heart disease and may also lower blood pressure, as well as boosting the production of white blood cells. It fights against inflammation, so reduces painful conditions such as arthritis, and also helps the body to absorb more iron from iron sources. Vitamin C is another name for ascorbic acid and is found in very high levels in the epidermis, or the outer layer of the skin. Extensive medical studies have shown that vitamin C is essential for healthy skin, and can help to fight illness, injury, and signs of aging. 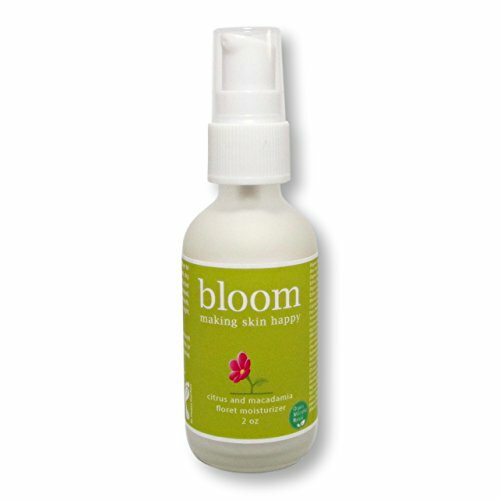 It enhances the production of lipids in the skin which helps the skin to moisturize and protect itself from water loss. What is the deal with eczema? Your skin is a natural barrier which protects everything inside from germs and other baddies on the outside. It has two layers, the outer layer or epidermis which is highly cellular and protective, and the inner layer, the dermis, which gives skin elasticity, strength and nutrition. In eczema sufferers, their immune system and the skin don’t quite work properly in forming this barrier, and they need all the help they can get. Eczema sufferers have a lower capacity to fight against wounds and heal than non-sufferers. Eczema skin also doesn’t have the capacity to moisturize itself the way it should, and the dryness and cracking let in germs which make the condition worse. How can Vitamin C help eczema? Vitamin C helps eczema in a number of ways. Vitamin C has antioxidant properties which give it the ability to fight against illness and promote healing. Ascorbic acid is one of the body’s most important requirements to make collagen in the skin, which gives skin the power to heal and regenerate. It is also helpful in the aftermath of eczema, in that it enables your skin to heal better. The boost in collagen production and the antioxidant powers of vitamin C decrease the level of cell damage to your skin and help it to repair and also to moisturize. It is a natural antihistamine and helps deal with all kinds of allergies, asthma, and hayfever, so it can reduce the severity of eczema before it happens. People low in vitamin C have been shown to suffer more from allergies and conditions like eczema because this cool vitamin is necessary for fighting against the histamine molecules in your body. It is shown to fight well against inflammatory conditions, like eczema, and directly reduces inflammation as well as promoting healing afterward. Studies show that vitamin C helps best when it is taken is partnership with vitamin E, so look for supplements or skin care products that contain vitamin E as well. What are some ways to increase your Vitamin C intake? While using creams and moisturizers that contain vitamin C can help, most medical studies show that increasing your internal intake of vitamin C is the best way to help your skin and reduce the effects of any vitamin deficiency. A vitamin C supplement every day is probably the easiest way to get in an instant boost on your vitamin C levels, but it is generally better if we get vitamins through food sources. Mix with a dressing of 1 tablespoon extra virgin olive oil, 1 teaspoon lemon juice, ½ teaspoon minced garlic, ½ teaspoon honey, salt and pepper to taste. You could also add chopped cooked chicken, a tin of tuna or a handful of nuts to boost this up to a hearty meal. Another wonderful warming and hearty recipe for vitamin C is this lemon and coriander soup. Vitamin C is also a central ingredient to many high-quality skincare and good eczema products, so you can give your skin a double boost by upping your vitamin C from the inside and the outside. Vitamin C Organic Face Moisturizer with Peptides, Antioxidants. All Natural. For Normal, Sensitive, Dry, Oily or Acne Skin. Collagen Boosting. Vegan, Cruelty Free. Citrus Macadamia Floret Moisturizer is non-greasy, light weight. Silky smooth for a radiant glow! Moisturizes & Repairs Skin - Nutrient Rich - Best Day Cream & Night Cream - Free of Propylene Gycol, Lauramide DEA, Sodium Fluoride, Mineral Oil, Petrolatum, Coal Tar, Irritating Alcohol and Fragrance free. Organic and natural skin cream which will penetrate through all the layers of your skin, staying in your skin for hours even through hand washing. We use the highest grade medical Aloe and combine it with essential vitamins, minerals and nutrients that your skin needs. 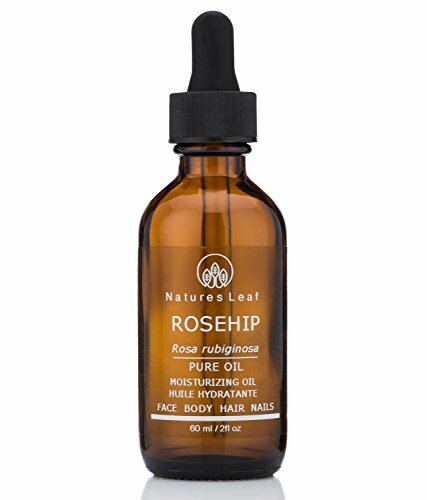 Rosehip Seed Oil Organic / 100% Pure/Cold Pressed/Unrefined / Omegas 3, 6 & 9 / Vitamins A, C & F/Anti-Aging/Stretch Marks/Wrinkles & Fine Lines / 2 fl oz. POWERFUL NATURAL SKIN VITAMIN SUPPLEMENT - Contains extremely high levels of essential fatty acids, omegas-3, 6 and 9, natural trans-retinoic acid (vitamin A derivative), Beta-carotene, vitamins C, F and lycopene. A TRUE BEAUTY SUPERSTAR - Our Pure Rosehip Oil is one of the most powerful skin regenerators that exist without any dangerous side effects. Helps to reduce - Pre-Mature Aging, Improve Skin Texture, Increase Elasticity, Stimulate Collagen, Protect against Free-Radicals, Lessen Wrinkles and Fine Lines, Even Skin Tone, Fade Stretch Marks, Lighten Dark Spots, Skin Burns, Sunburns, Dermatitis, Eczema, Repair Sun Damaged Hair and Brittle Nails. NATURAL HAIR AND SCALP TREATMENT - Do you have dry, discolored or damaged hair or dry scalp? Rosehip Oil is your best solution to restore your hairs luster and shine. Ideal for use after prolonged sun or chlorine exposure, over coloring, washing, or blow drying. FULL POTENCY AND PURITY - NOTHING ADDED OR TAKEN AWAY - Organic Rosehip Oil is 100% pure, fresh cold pressed. No solvents, preservatives, chemicals or heat is used during extraction. This method of extraction ensures that all of the essential fatty acids, vitamins, anti-oxidants, and nutrients remain therapeutically active, pure and potent. HANDCRAFTED AND MANUFACTURED BY NATURES LEAF - In our own state of the art manufacturing facility, under strict quality assurance guidelines, compliant with all FDA regulations. Celebrating 25 years of manufacturing excellence. Proudly made in the U.S.A. under the watchful eyes of professional Artisans. There are also some easy home remedies which you can make using natural ingredients that apply vitamin C to your skin. Using cold compresses made from green tea, by applying the cold tea bags to your skin, or a cotton cloth that has soaked in the cold tea. Grate a small piece of ginger with 2 tablespoons of manuka honey and one teaspoon of lemon juice, and refrigerate until cool. 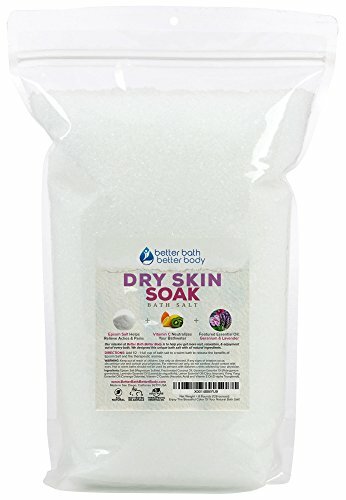 You can apply this as a mask on your face or other parts of your body affected by eczema and leave it on for 10 minutes, then rinse gently off. Eczema is worse in winter because of the overexposure to drying air and heat. The body suffers from an onslaught of the elements, from harsh, biting cold wind outside, to dramatic changes to stifling dry warmth from central heating indoors. For more information, be sure to read our article about winter eczema treatments here. We also tend to overdress, which raises body temperatures and doesn’t give the skin the chance to breathe. All of our vitamin and mineral needs are higher because the whole body is fighting extra hard against illness and infection at this time. Keeping hot baths and showers to a minimum. Don’t bathe every day, and don’t soak for a long time when you do. Keep the water lukewarm only. Moisturize every day, and swap your lighter moisturizer for something lovely, thick and heavy duty for winter. Apply moisturizer to affected areas before bed, and try covering with eczema sleeves, gloves or socks to help it soak in. Invest in a humidifier or salt lamp. Don’t use electric blankets, and stay away from woolen ones as well. Sleep in breathable sheets and blankets. Don’t overdress. Wear looser layers in fabrics that allow your skin to breathe such as cotton or bamboo. Stay away from wool and most synthetic materials. Drink lots and lots of water, green fruit smoothies, and green tea or ginger tea. Winter can be an exhausting time for eczema sufferers and can feel like it’s going to last forever, read our article all about dealing with eczema in winter. But low vitamin C can be one of the reasons why your eczema is so bad right now, and fortunately is also one of the easiest things you can fix. Why not try one or two of our ways to increase the vitamin C that is getting to your skin? If you find a skincare product or recipe that you love which boosts vitamin C, write and let us know. We also think you might like to read out article all about Vitamin D. It will give you some helpful information and help to manage your eczema.